Dan and I seem to have a penchant towards cooking more Italian food when we invite friends over for dinner or just for ourselves. 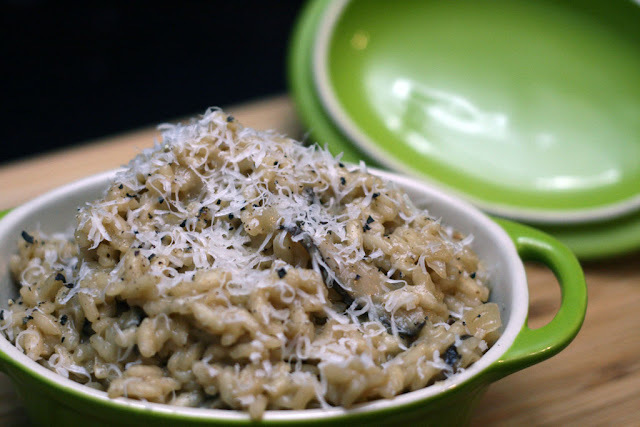 We love making homemade pasta, but somedays I find myself just wanting a scoop of mushroom risotto, topped with a shaving of pecorino romano for dinner. So, of course the best thing is to make risotto at home! I typically buy all the ingredients we need from the Italian Centre that we have here in Edmonton. There are two different types of rice that you can purchase for making risotto - superfino arborio rice or carnaroli rice. In terms of taste, the carnaroli rice seems to taste better but honestly both are just as tasty. One of my favourite ways to make risotto is with fresh shiitake mushrooms - which you can purchase fresh at the Italian Centre! You can also use dried mushrooms for this recipe instead; just remember to rehydrate them for about 30 minutes in some water before cooking with it. 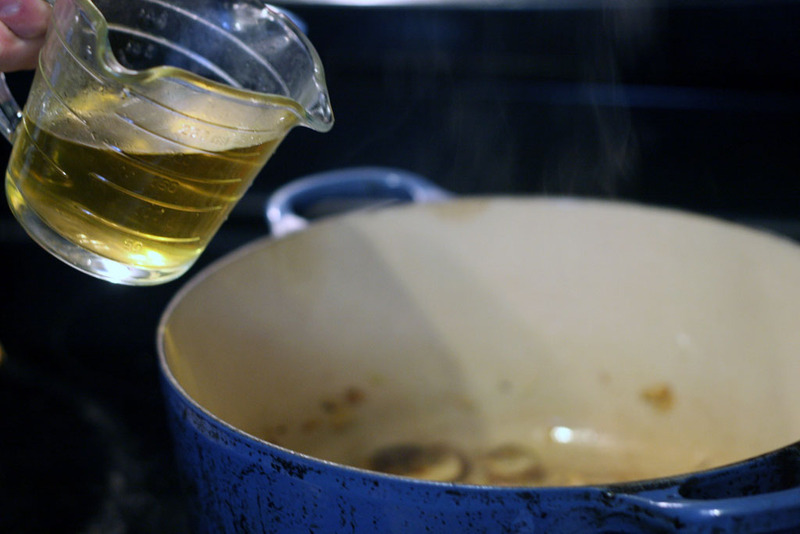 The key to making good risotto is to keep the chicken stock warm as you cook. Heat a medium to large pot (we used our Le Creueset dutch oven) at medium heat with 1 Tbsp of butter and the olive oil. Once the oils are melted, start to saute the onion and garlic. Meanwhile in a separate pot heat the chicken stock to just below boiling. 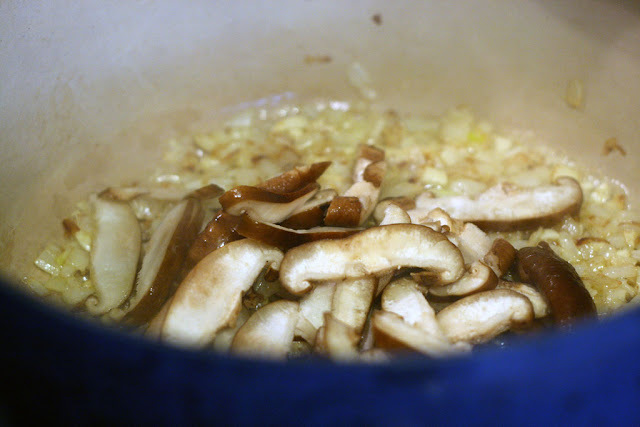 Add the sliced shiitake mushrooms and continue to stir. Keep stirring until the onion turns golden brown. 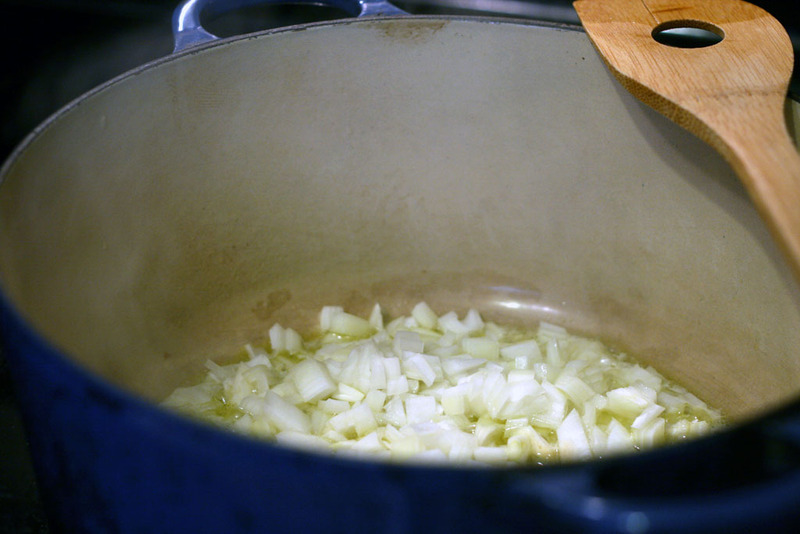 Once the onion is golden brown, add in the white wine. Continue to stir and allow the white wine to simmer for about 1 minute. You want to give time for the alcohol to burn off. 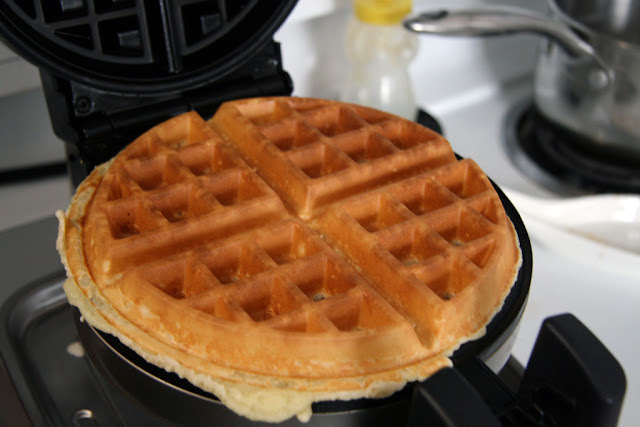 You can also use water in place of white wine if you don't have any on hand. Then, add in the rice ensuring that all the rice is coated with the oil. Toss in a pinch of salt and freshly ground pepper. Add in about 3 ladles of chicken stock into the mixture and stir. 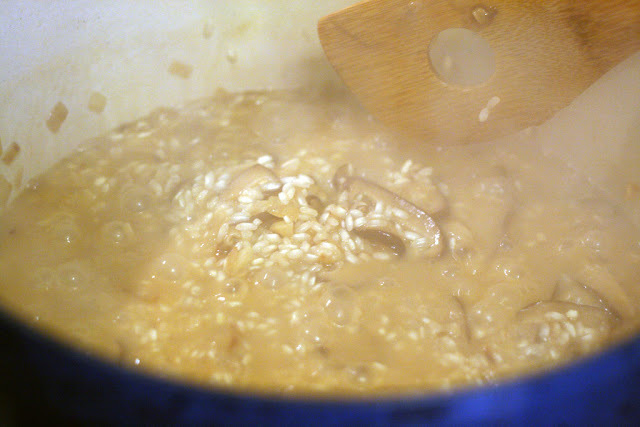 Continue stirring and slowly adding chicken stock by the ladle until the rice is done (20-25 minutes). 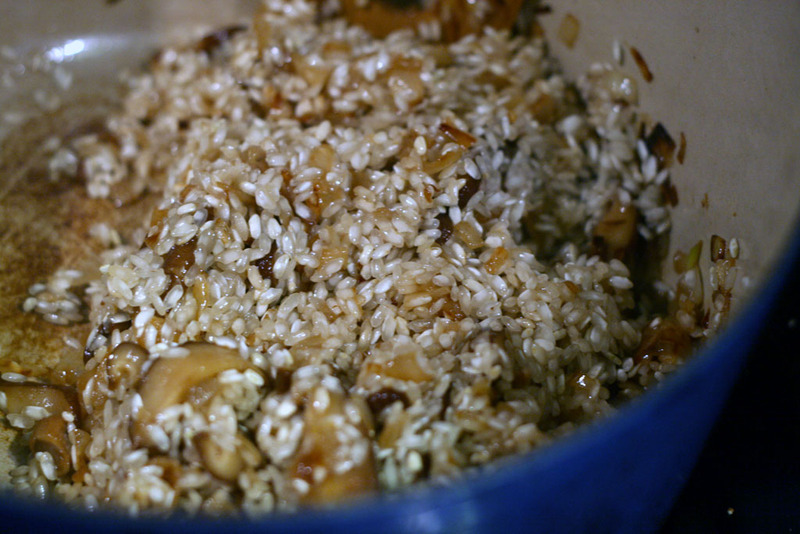 You want the rice to be al dente (firm but not raw). When the rice is done turn the heat off. Then, add in the remaining 1 tablespoon of butter, cream (or milk), and the pecorino romano. 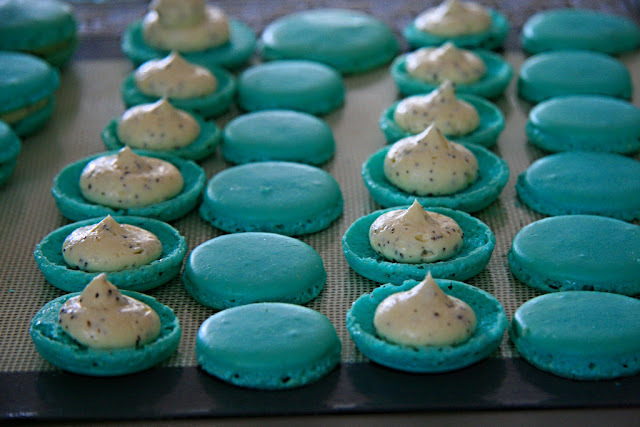 I also reserve some of the cheese for topping the risotto along with some freshly ground salt and pepper to taste. 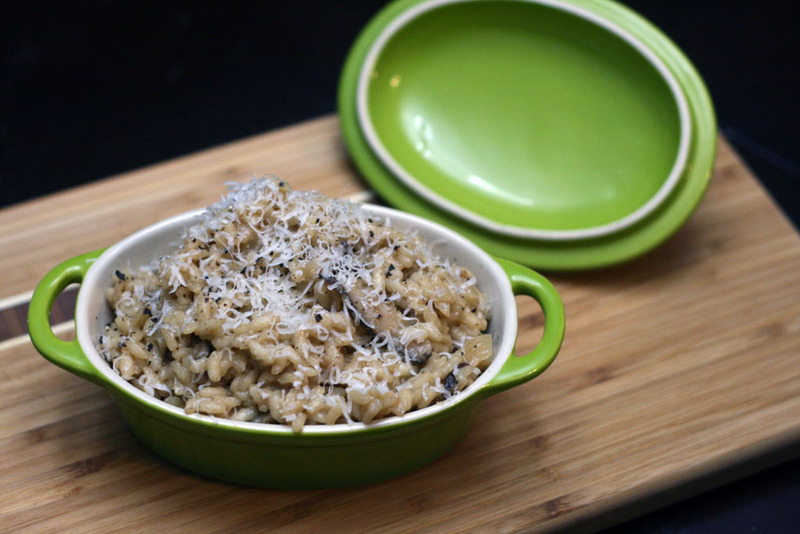 Hope you enjoy making this shiitake mushroom risotto as much as we do. I really enjoy using fresh shiitake mushrooms because it infuses a lot of earthy flavours into the risotto compared to regular white or brown button mushrooms. We have already been using shiitake mushrooms on our fresh pastas so it was only natural that we would make it in risotto as well. You can also create different variations of this risotto such as a fresh summer risotto with fresh basil and cherry tomatoes added at the end (in that case omit the shiitake), asparagus and red pepper risotto or even a lobster risotto. Check back soon (or subscribe to my mailing list) for the follow-up to this post on what you can make with your "leftover" risotto.